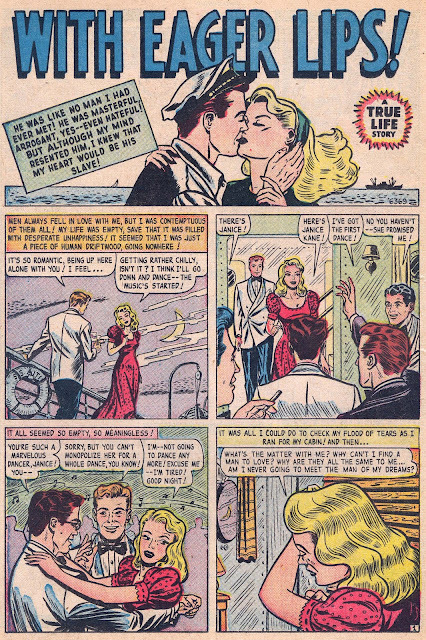 In March of 1948, Marion Sitton showed up at the Empire State Building armed with samples of all his past work done in both commercial art and syndication. 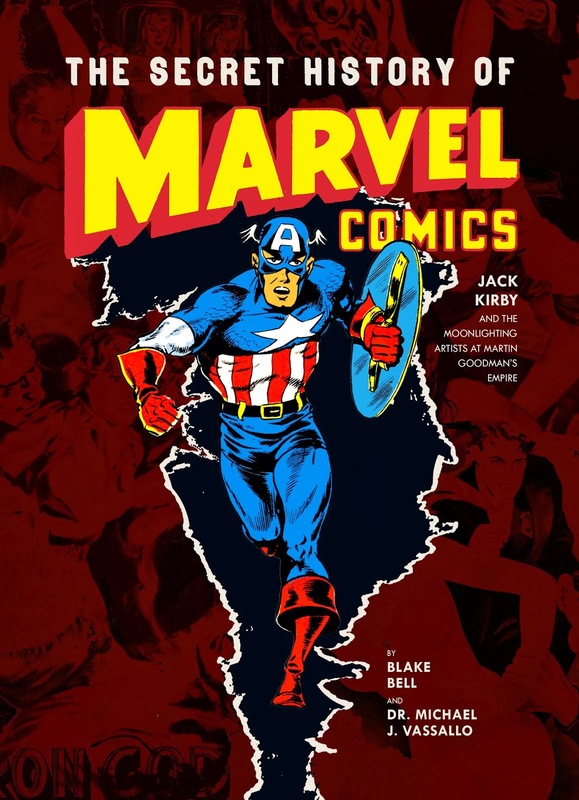 Stan Lee looked his work over and hired him on the spot as story art was in high demand, necessary to fill the scores of books Timely was churning out on a monthly basis. 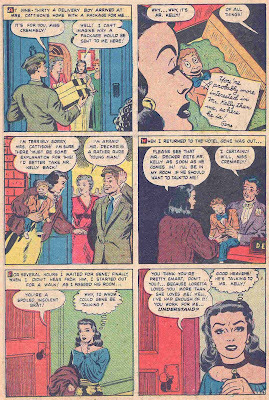 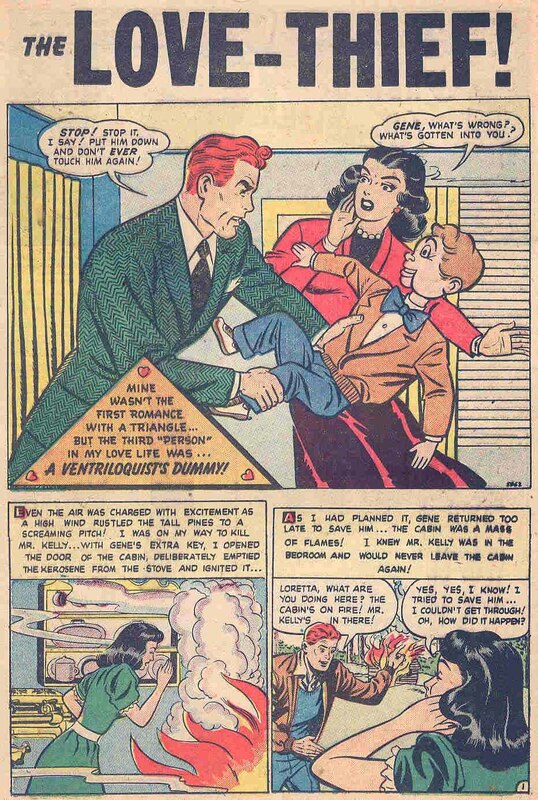 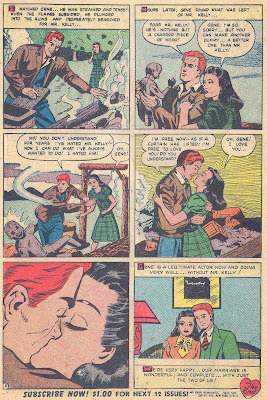 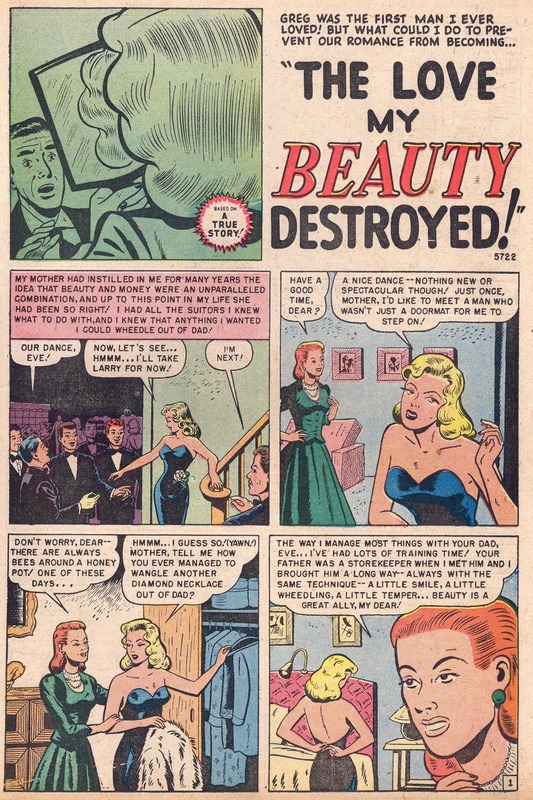 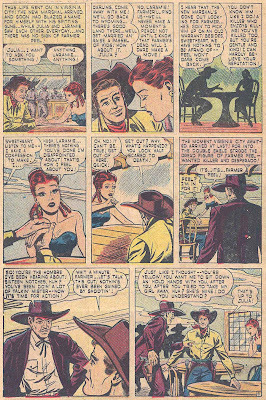 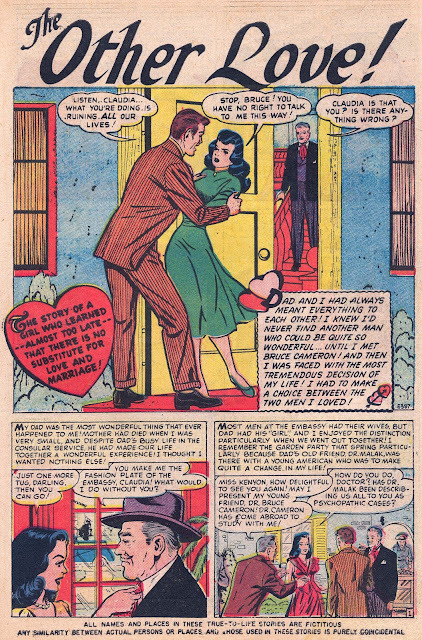 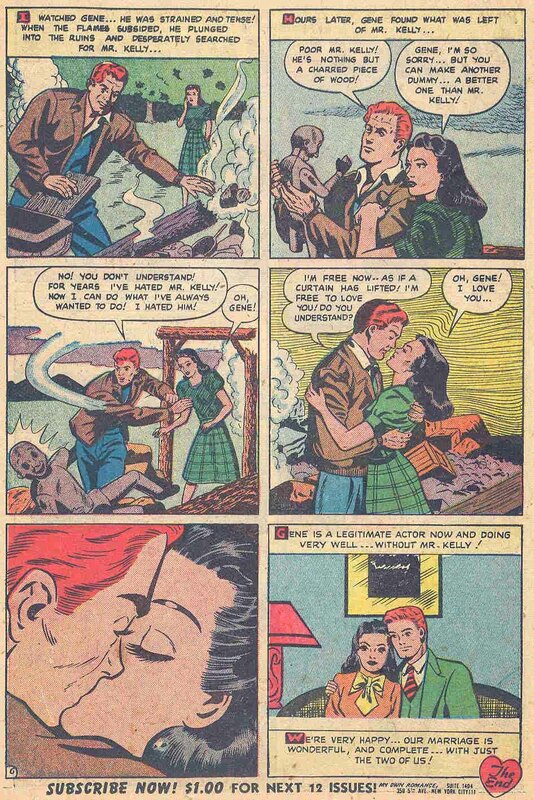 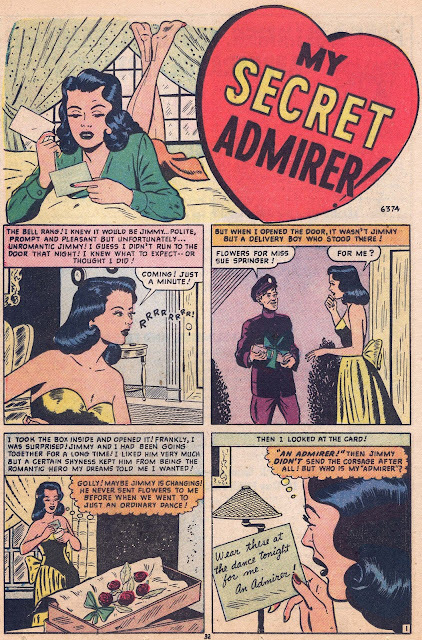 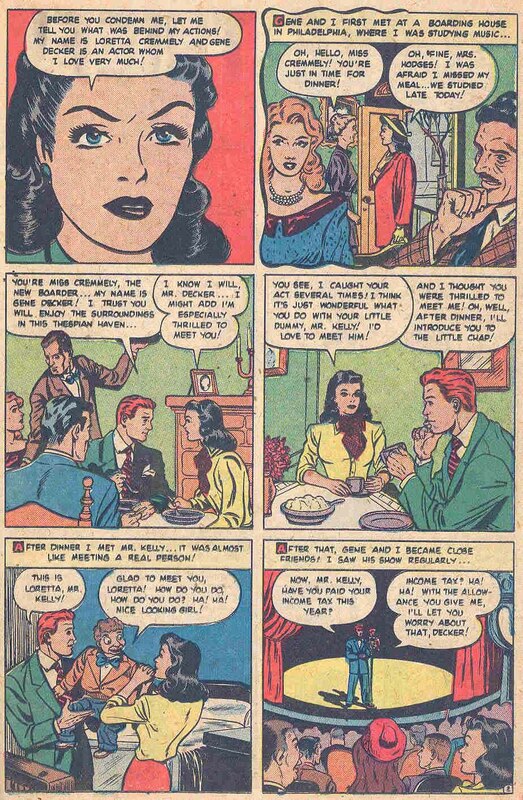 This time period also coincides with the huge surge in romance titles across the newsstands spurred on by Simon and Kirby's sellout hit, Young Romance in 1947. 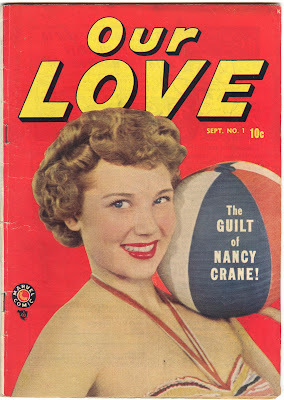 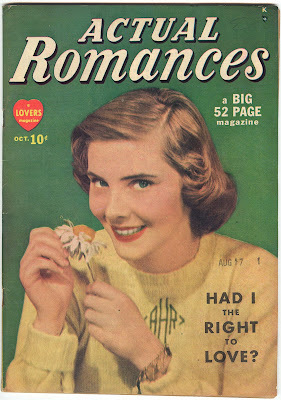 At Timely, starting with the September, 1948 issue of My Romance #1, thirty one lines of romance titles made their debut in the ensuing 18 months and all but 5 were canceled, many after only two issues. 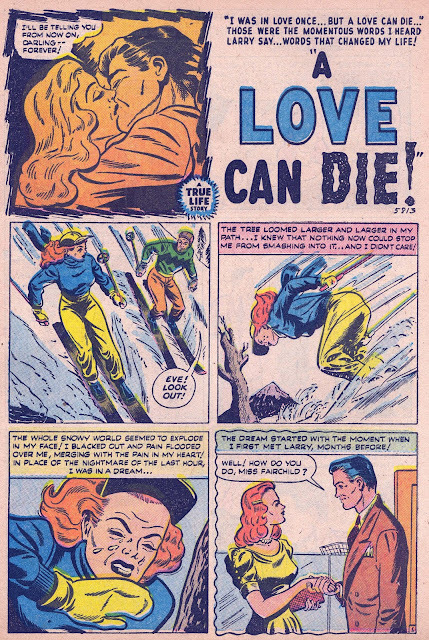 The quality of the artwork varies greatly and I'm going to postulate that romance stories received the bottom tier of the Timely inking scale. 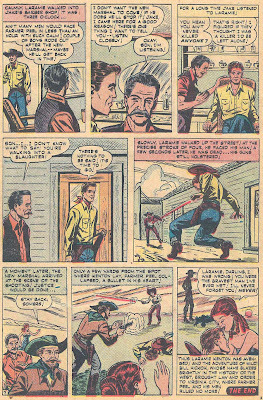 As the time progressed and stronger inkers came onto the stories, the finished artwork improved dramatically. 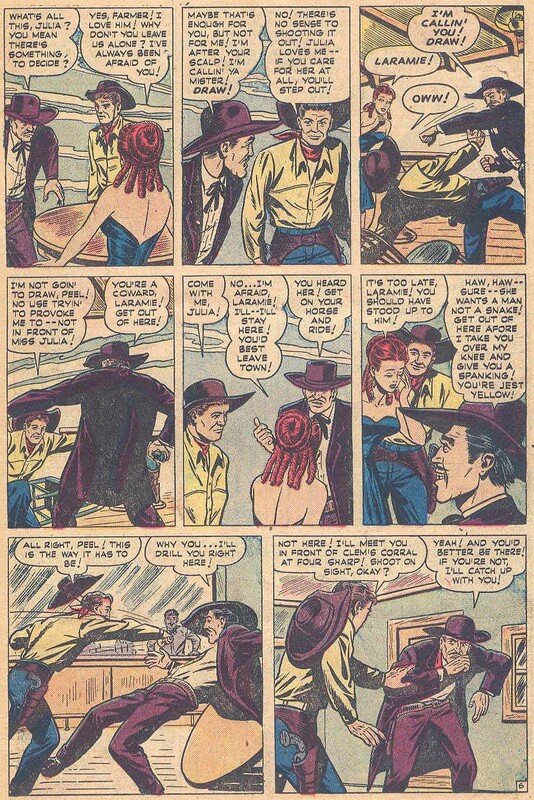 Compare the early stories to one that Vince Alascia inked at the end below to see such a contrast. 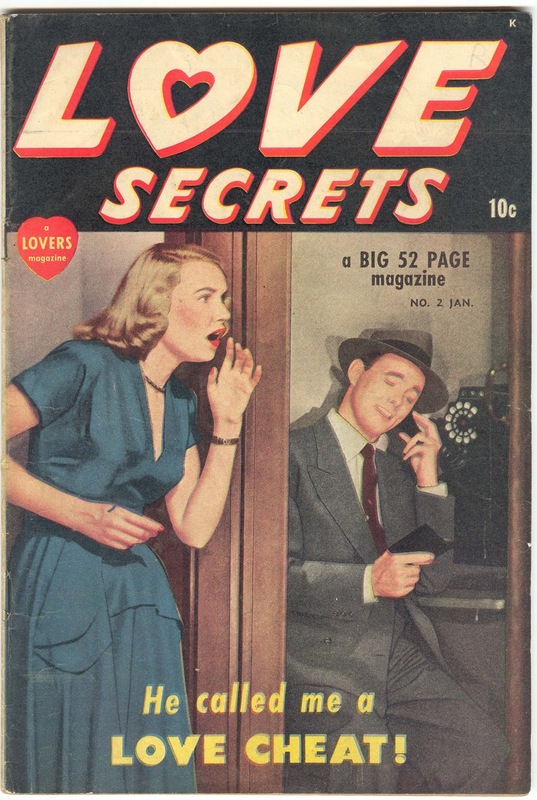 Here they are below in likely order of production based on job #'s. 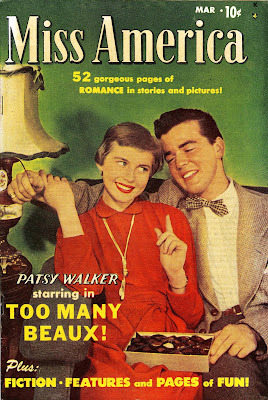 I'll include scans of the covers also. 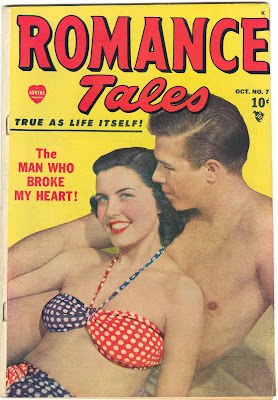 This story above is a bit of an anomaly. 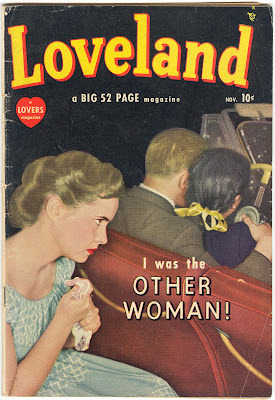 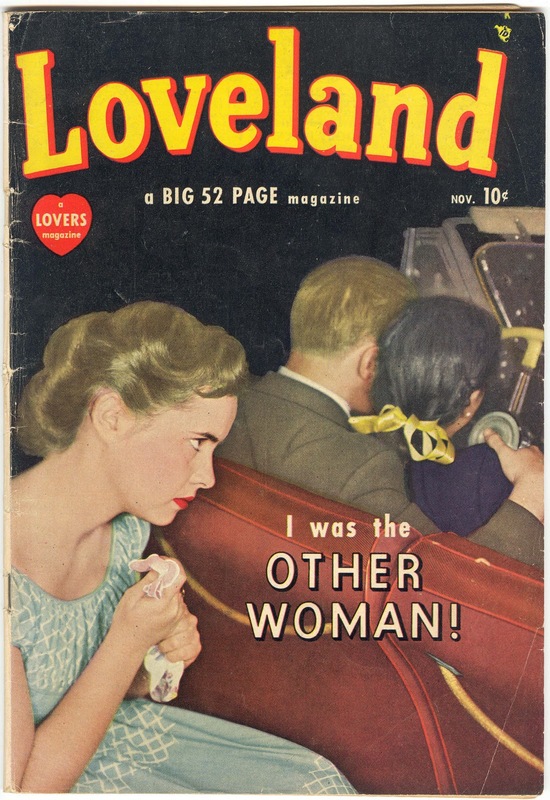 It appeared in the early Atlas period as this title, starting with #4 (Feb/51), seems to have been revived solely to burn up unpublished romance inventory after the romance line collapsed. 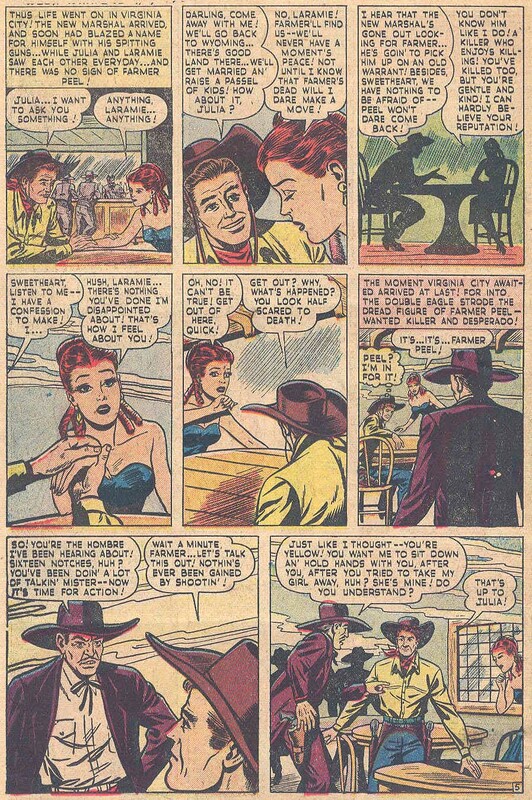 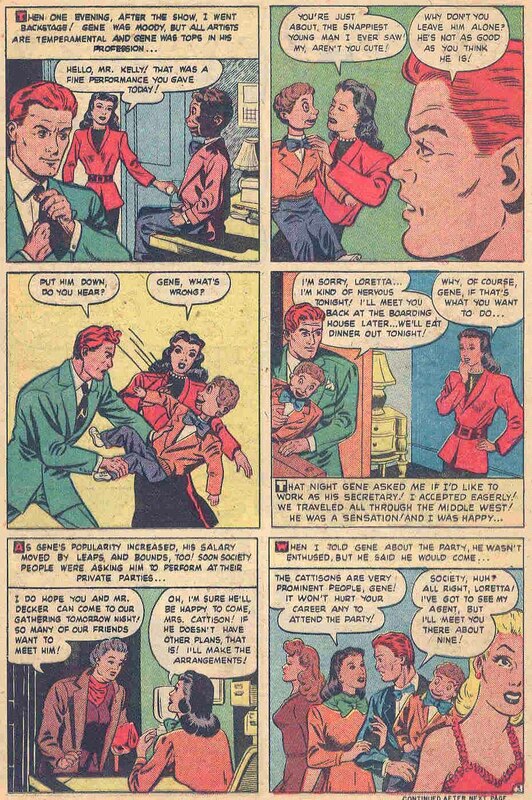 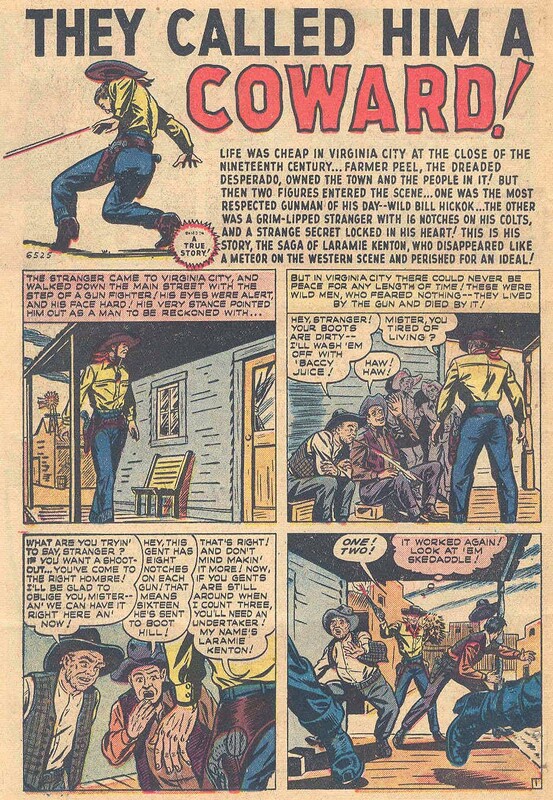 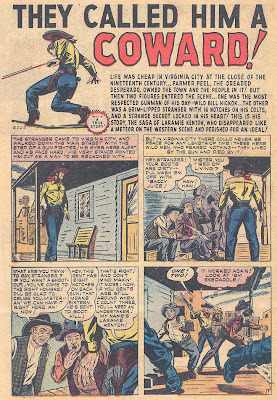 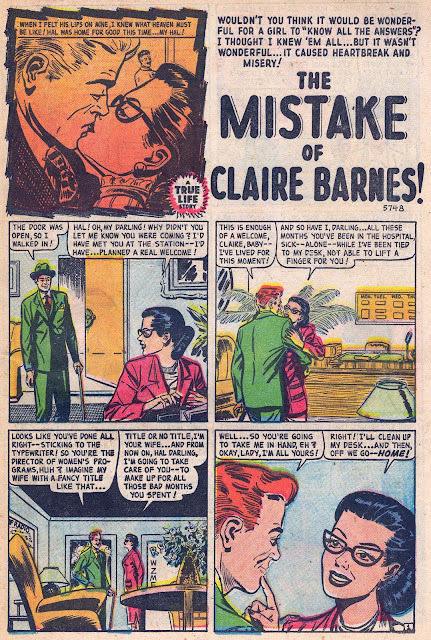 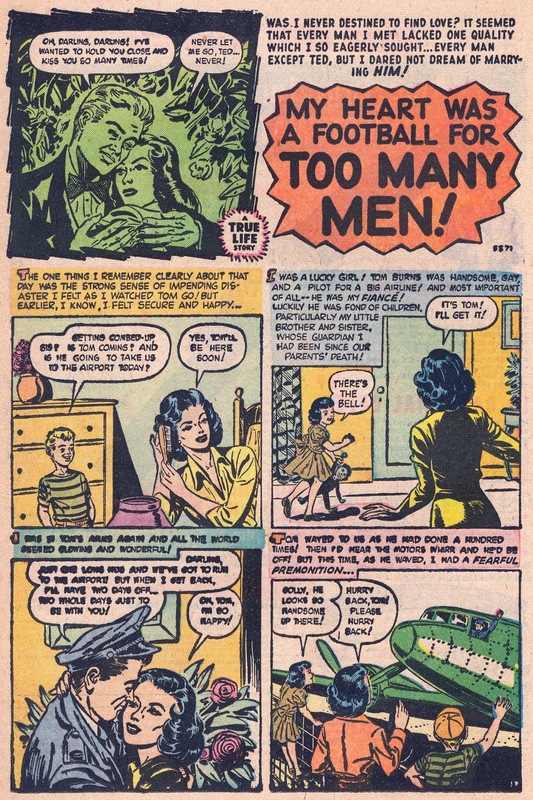 The first issue, #3 (Mar/50), was a one-shot. 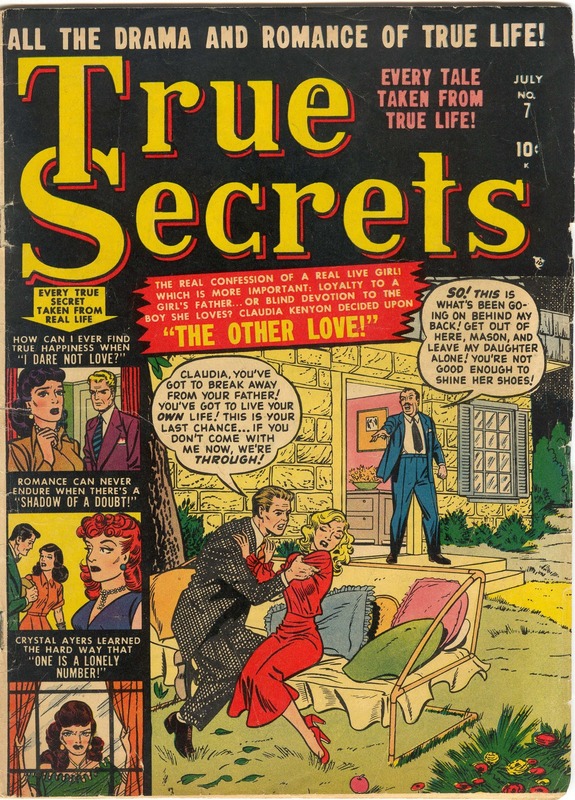 By #8 (Aug/51), all stories were concurrent to the expected job #'s in the 8000's. 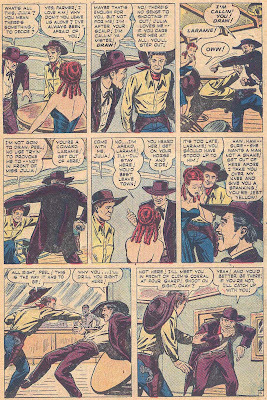 In addition, Marion Sitton did not draw the published splash panel. 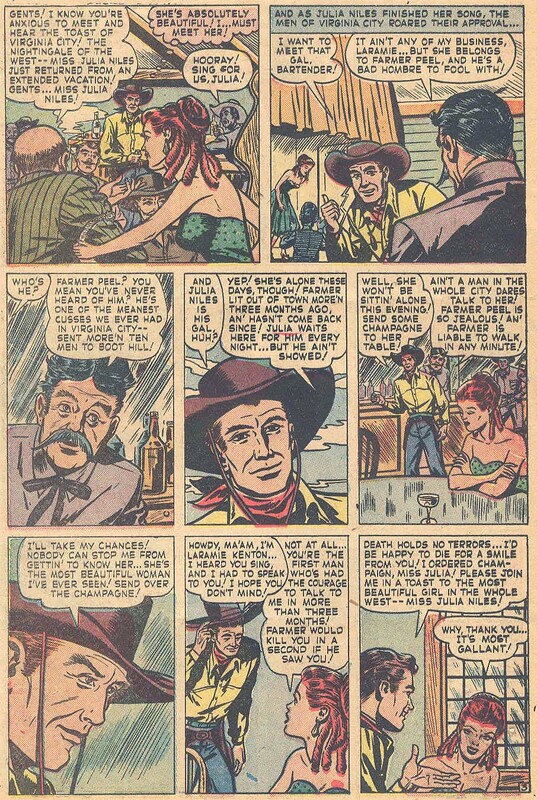 Whatever Marion originally penciled was replaced by the splash that I'm guessing to be Bill LaCava, at least the man on the right in the back. 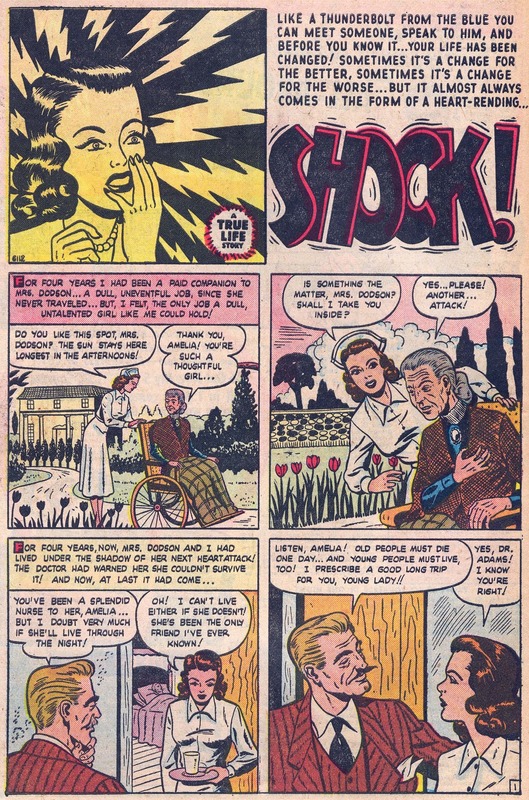 The reason for this may be the fact that by 1951 the Timely house-style grid was a thing of the past so a larger, more stylish splash was used to cover anywhere from 2 to 4 panels of the original story. 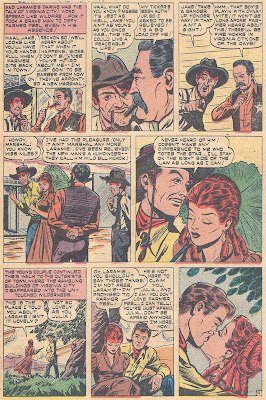 The story hails from cover date Jan/50 and was penciled as far back as August, 1949. 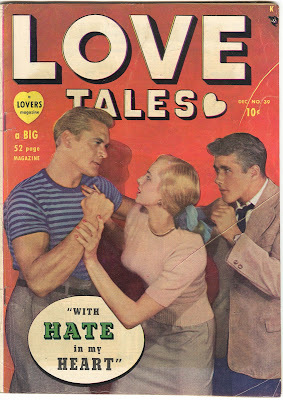 And finally....quite possibly the greatest title for a romance story ever seen!!! This story was held in inventory until early 1951. 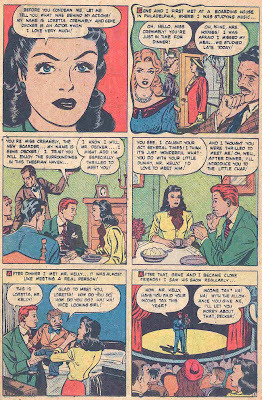 The splash panel is by Christopher Rule and Rule also draws/redraws &/or inks most of the female heads, possibly with an additional artist.. The underlying pencil artist, barely recognizable, appears to be Marion Sitton. 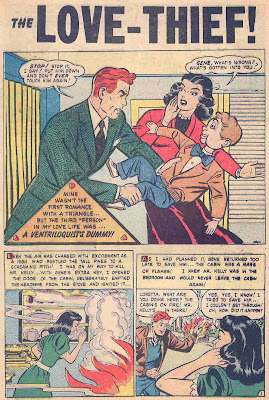 I'll post the entire story below. I've finally located the first non-romance story penciled by Marion while on staff at Timely. 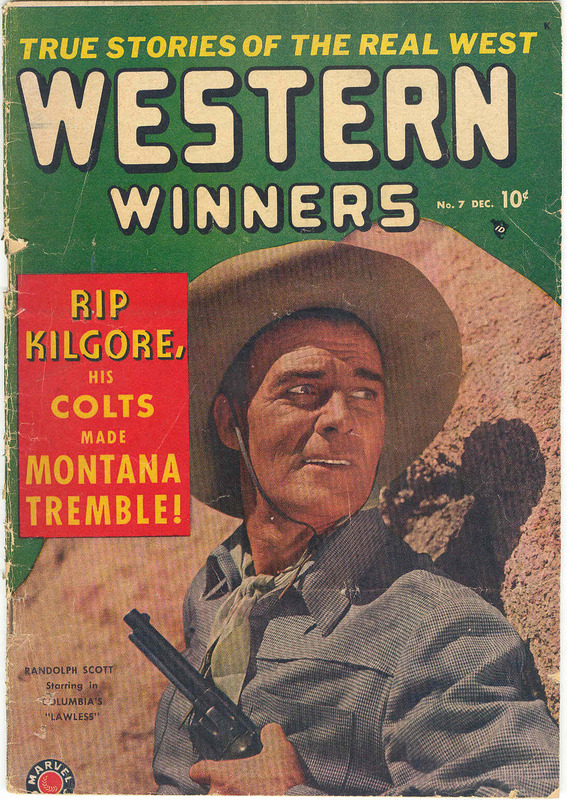 This is a western and hails from cover date Dec/49. 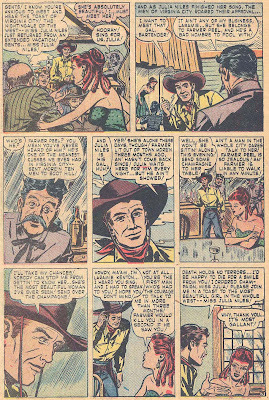 The book is Western Winners #7, an unassuming issue in one of the most convoluted numerical runs in Timely/Atlas history. 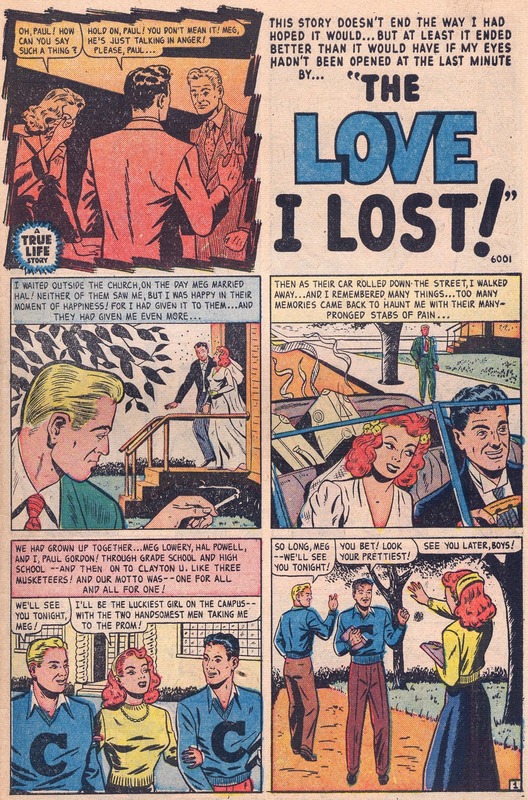 Let's start "way" back with the debut of All Winners Comics #1 (Summer/41) and follow the title up through issue #19 (Fall/46). 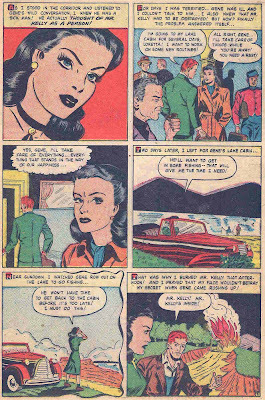 The very next issue is #21 (Winter 46/47) which skips #20 but does not skip a quarterly spot on the schedule. 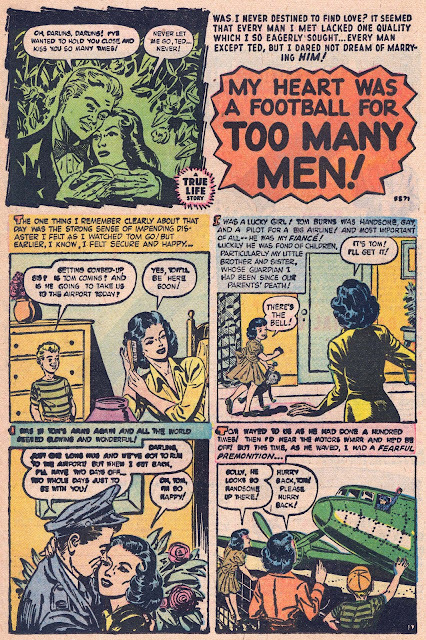 There has been long debate as to what happened to #20. There was the appearance of All-Teen #20 (Jan/47), the debut issue of what would become Teen Comics #21 (Apr/47). There was also the appearance of Young Allies #20 (Oct/46), the last issue of that run. 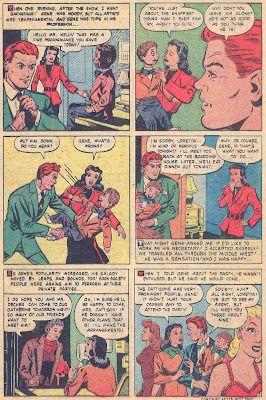 Regardless of what happened to All Winners Comics #20, issue #21 (Winter 46/47) is the last issue. 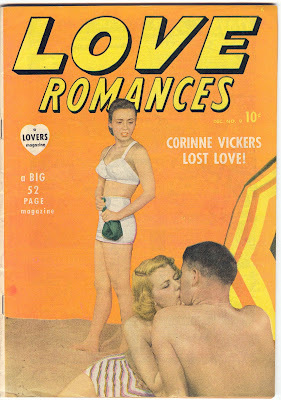 But then cover date Aug/48, a second All Winners title debuts with a Vol 2, #1 in the midst of a mini hero revival consisting of All Winners, Sun Girl, Namora, Venus, Blackstone and The Witness, a revival that fails in favor of the rise of genre comics. 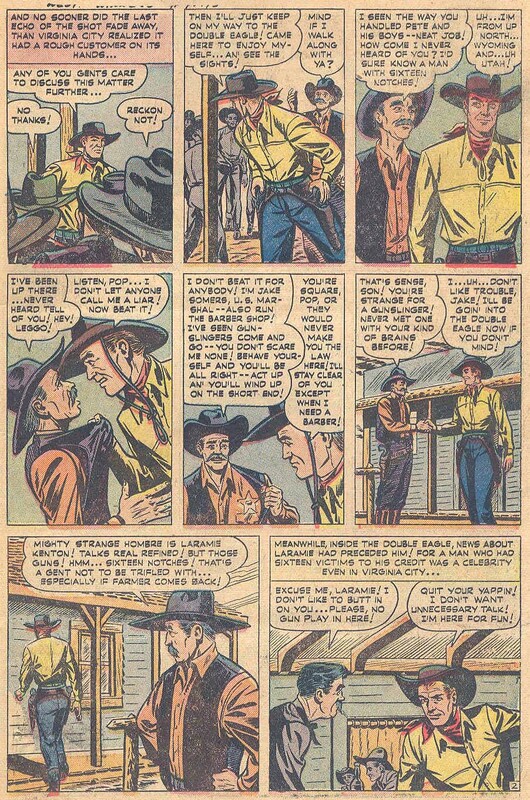 All Winners Vol 2, #1 immediately changes to All Western Winners #2-4, which changes to Western Winners #5-7, which changes to Black Rider #8-31, which ultimately changes to Gunsmoke Western #32 to 77 (July/63), giving us a somewhat tenuous broken road from Summer/41 to July/63! 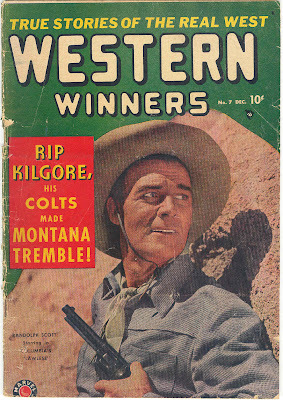 Which brings us to Western Winners #7 (Dec/49). 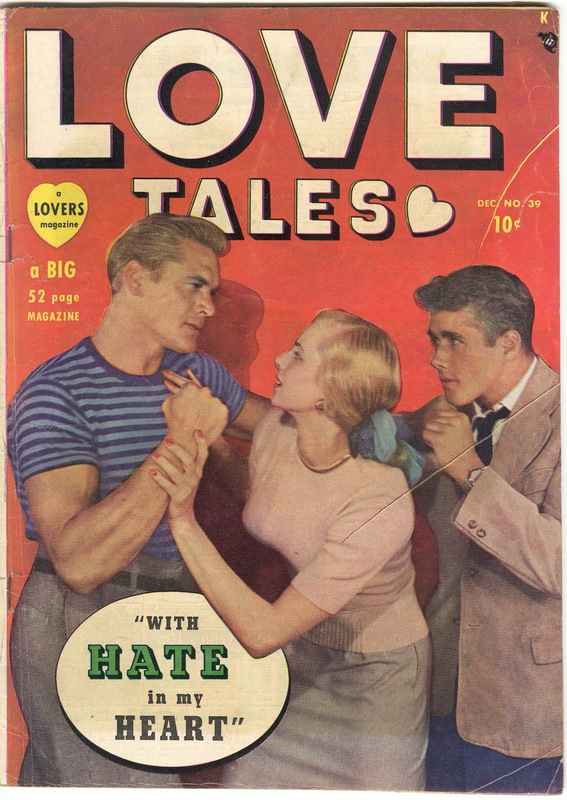 The cover is a photo cover, quite common on Timely romance, westerns and crime titles of the era. 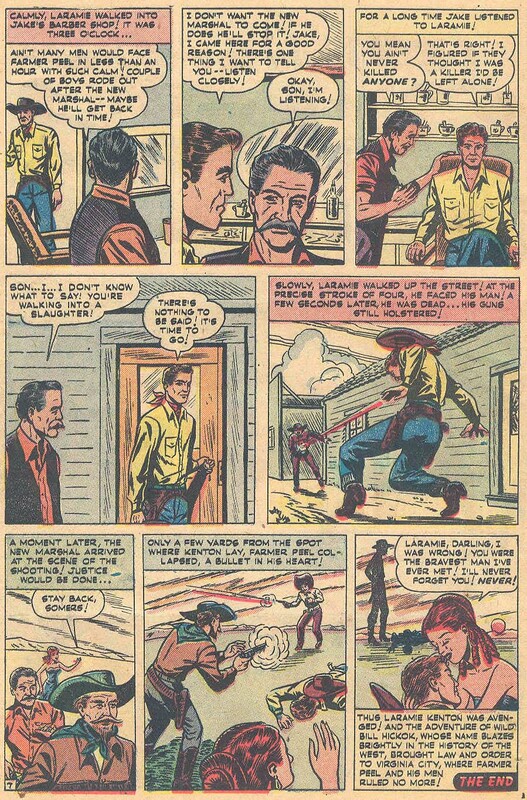 Marion's pencils are the only artist identifiable to me among the 3 non-character western stories. 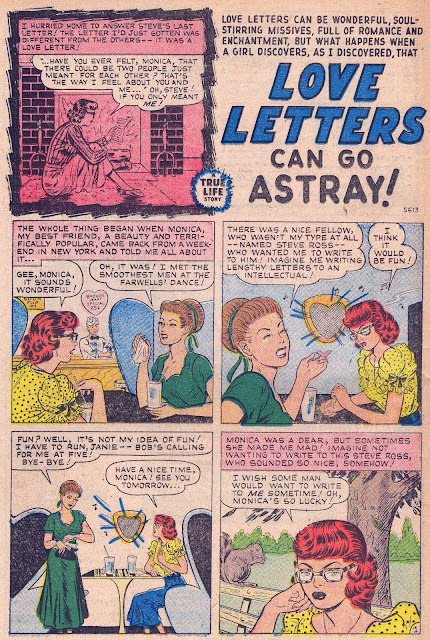 The inker is currently unknown. Welcome to the blogging world!!! 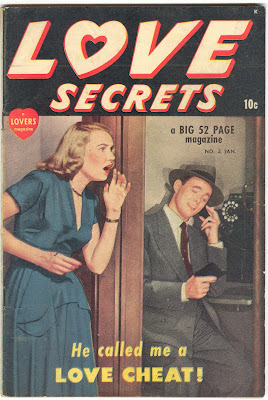 I am gonna learn so much from you! 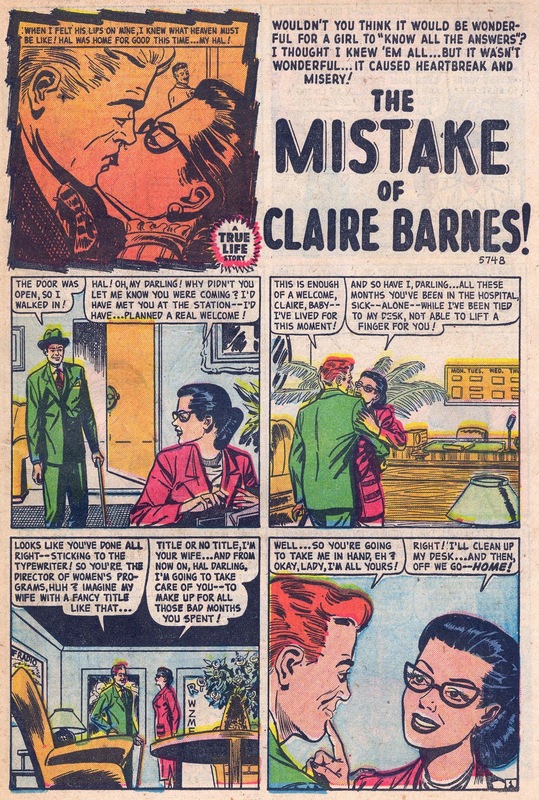 :) Thanks in advance! 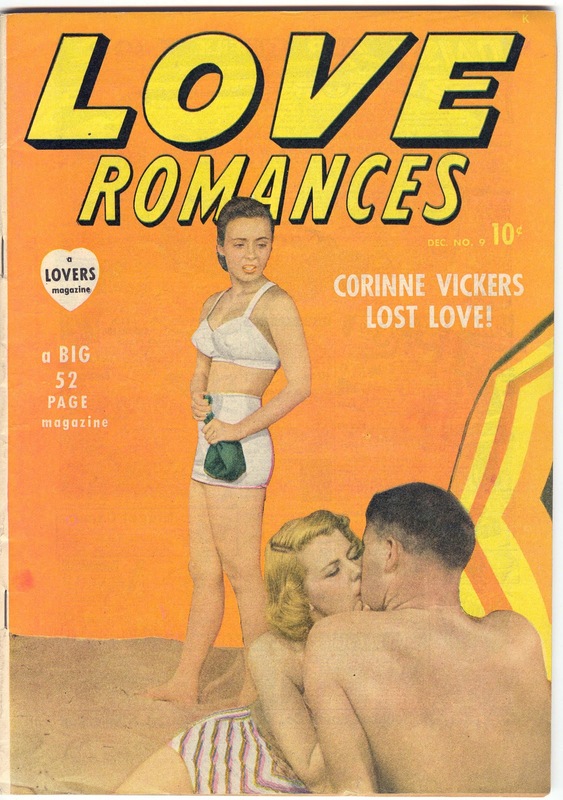 Thanks Jacque! 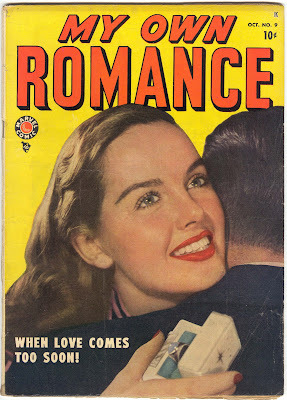 I figured you'd like the romance stuff!